Yesterday evening I went to a really nice event with Zoe. 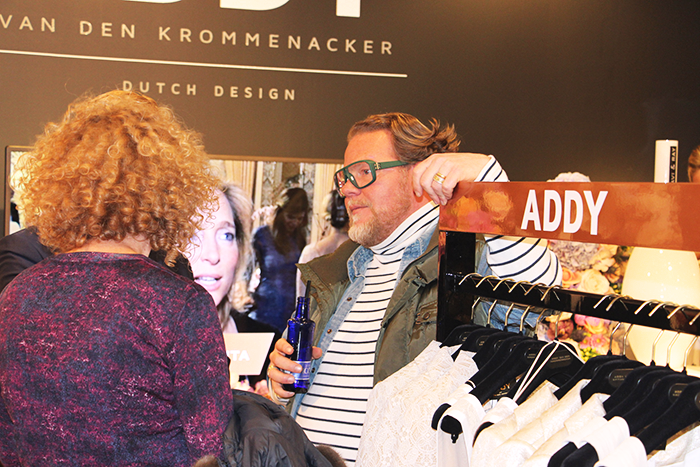 We went to the opening of the Addy van den Krommenacker pop-up store in Amsterdam. It's located at the Bijenkorf at 'de Dam'. It was really nice to meet Zoe and it was also really nice to finally meet Addy in person. I already saw him at his celebration fashion show a few years ago (I had the perfect frontrow-view) so I couldn't wait to go to this event, even though I had struggles finding the perfect outfit ;-). 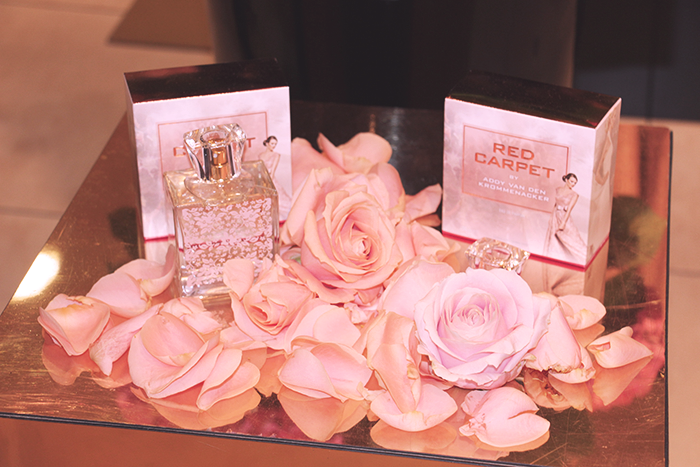 When we entered we had the chance to smell his new perfume. One of his models sprayed it on our wrists and it smelled really fresh and flowery, as you can see on the picture above. 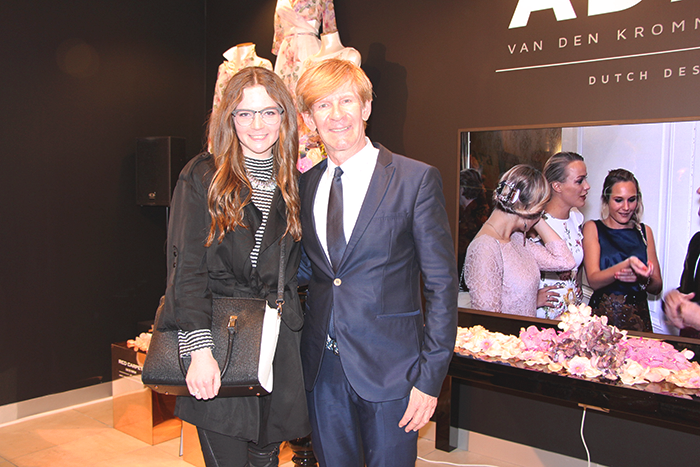 We also saw Bastiaan van Schaik, an important fashion person in the Netherlands. He was wearing cool glasses. 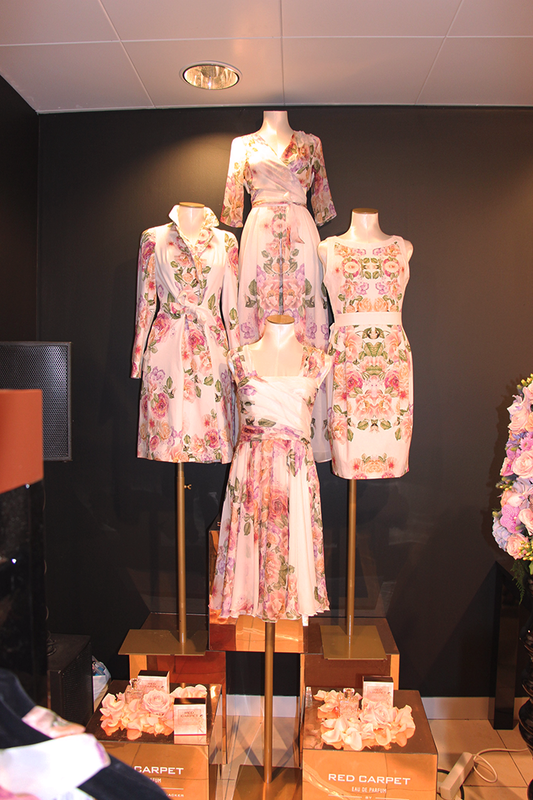 Here you can see some of the dresses of the store and how they fit. 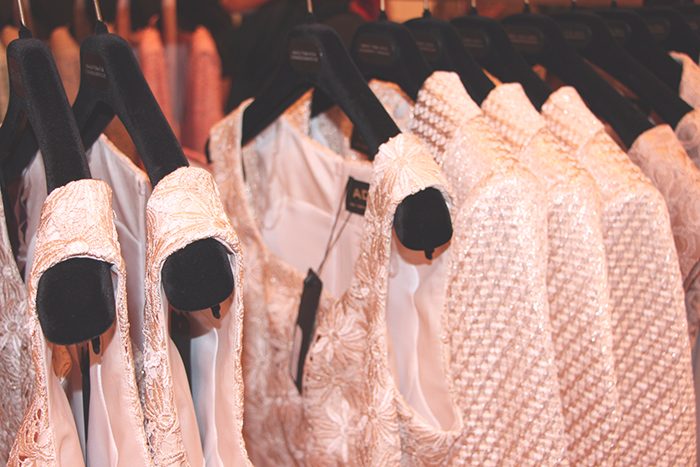 Believe me, all the fabrics are perfect. I was in love with this dress and the blazers really looked like the famous Chanel-fabrics which you can always see in their shows. The blue color and adorable lace material of this dress makes me fall in love with it. How nice would it be to wear this during Spring? Of course I also had to take the opportunity of talking to Addy and take a picture with him. I really liked the opening and afterwards Zoe and I went to the Topshop, which opened a couple of days ago in Amsterdam. When we had walked around for a while we had some pasta dinner and went home by train separately because we live basically in the opposite part of the Netherlands. Did you ever meet a designer? Share your experiences below! 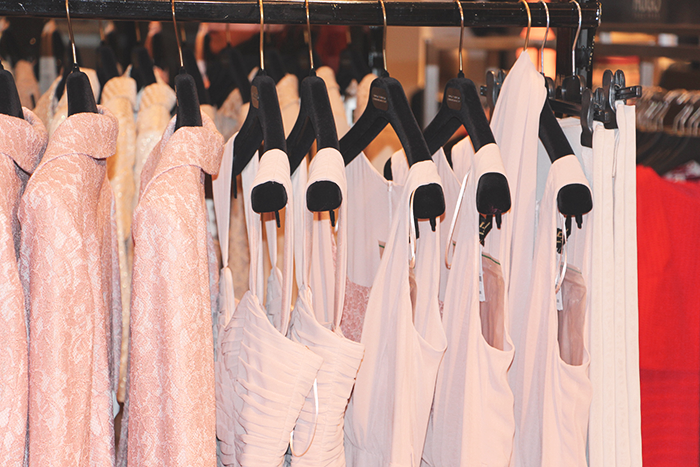 Wauw wat een geweldige ervaring zeg!<3 Die kleding ziet er zo mooi uit! wauw wat onzettend gaaf, prachtige foto's ook!